Stanford Advanced Materials supplies our customers with high quality ALUMINUM ALLOY 1100 Foil. A commercially pure aluminum, Aluminum alloy 1100 contains no more than one percent of other chemical elements. It is your standard aluminum alloy containing a minimum of 99.0% aluminum. It is formable, weldable, and its ability to take a form is excellent. Typical markets include chemical equipment, reflectors, heat exchangers, architectural applications, and many more. The 1145 and 1235 alloys can be used as substitutes except when comparing burst values when strength is critical. This material will not age, but can oxidize when left in an extremely damp environment and/or when Exposed to extreme temperatures in both hot and cold environments. Annealing, which may be necessary after cold working. The material is heated to 650°F and then air cooled. 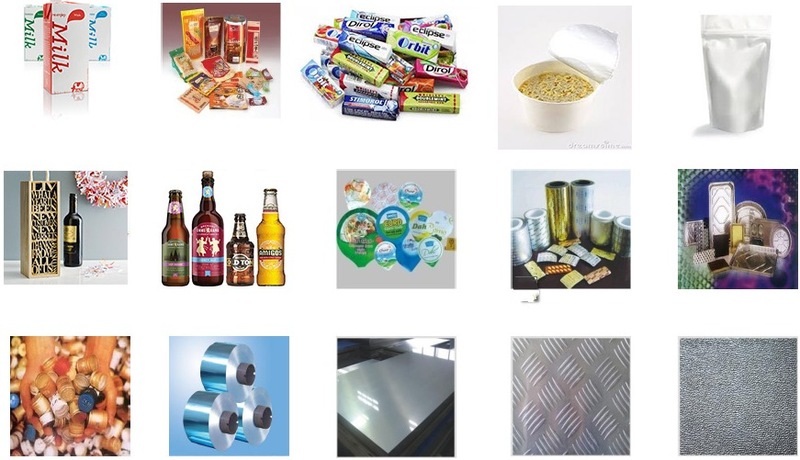 Commonly used as tapes, fin stock, heat exchanger fins, tags, and names plates, Commercial filters, decorative applications, giftware, and reflectors, and in sheet metal work. This is a excellent alloy for cold working because of the good malleability in the annealed temper. It can easily be bent, drawn, or spun into a variety of applications. Hot working can be conducted when needed. The alloy can be hot forged. Forming either hot or cold is readily accomplished with this alloy. In the annealed condition this alloy can be cold worked extensively without an intermediate anneal. Easily welded by all conventional methods. Hardens during cold working only. This alloy does not respond to heat treatment other than to anneal the material into a soft or O Temper material. Electrical conductivity is 53% of copper. This alloy is 99.0% min pure aluminum with excellent ability to be formed and worked. This material is available in a variety of tempers. Shear strength values are: “O” (annealed) temper 9 KSI, H12 temper 10 KSI, H18 temper 13 KSI.